For the children that participated in the Summer Program, the February Monthly Session will be held Saturday, February 3rd, from 6-8 pm at Champions for Life Sports Center. 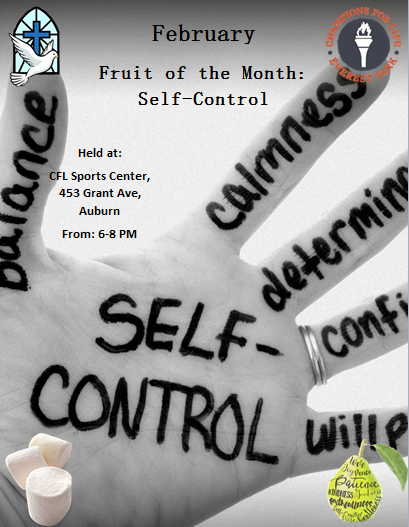 We will be going over another fruit of the Holy Spirit and exploring what embracing that fruit can do in our lives. The flyer hints at some of what you can expect. Remember, they need to attend five of the nine sessions, and unlike last year the parents do not need to attend. I hope to see all your children there. To view the rest of the dates, click here. If you have any questions, contact Carlo Stebbings at 315-252-3439 or carlo.stebbings@dor.org. This entry was posted in Faith Formation News on January 30, 2018 by Matthew Vadala.